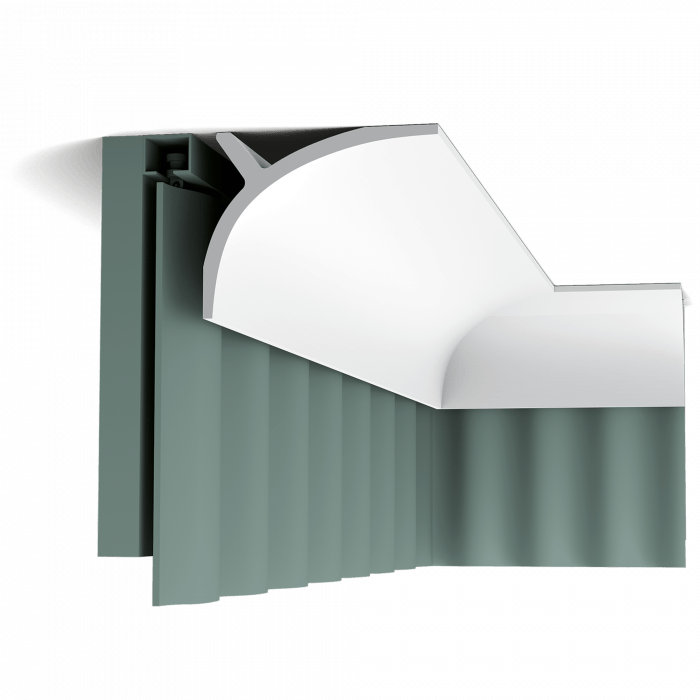 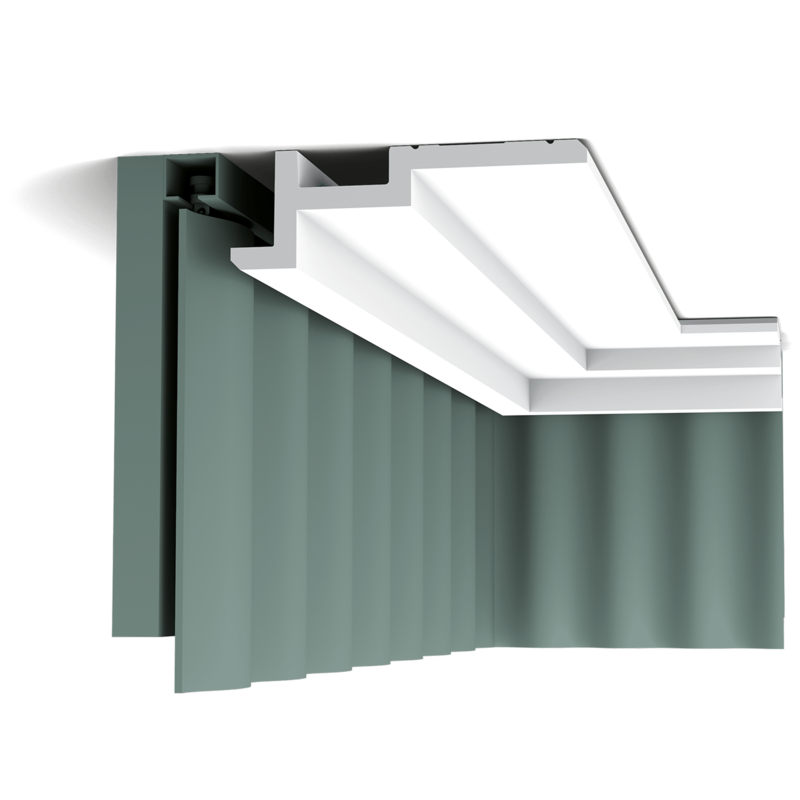 A clean, modern profile – CP395 – from the Steps curtain profile range. 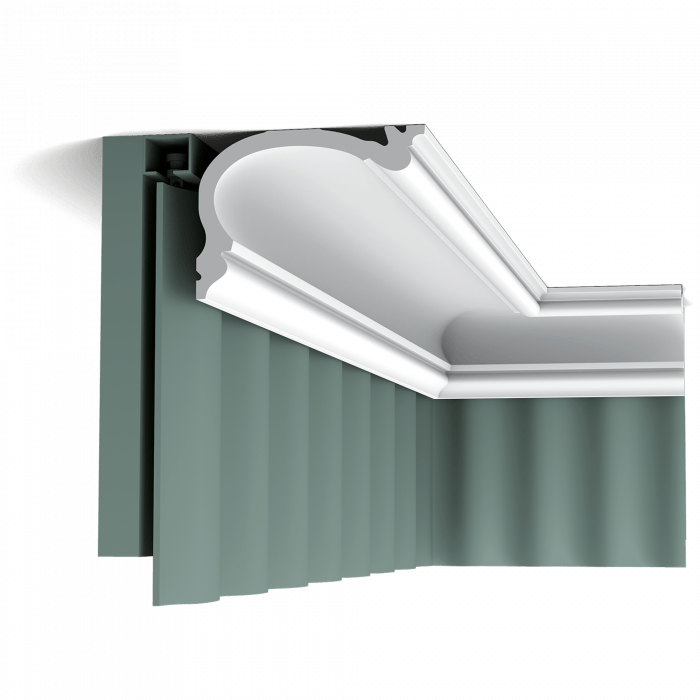 Here we fix the largest section to the ceiling, making the space seem wider. 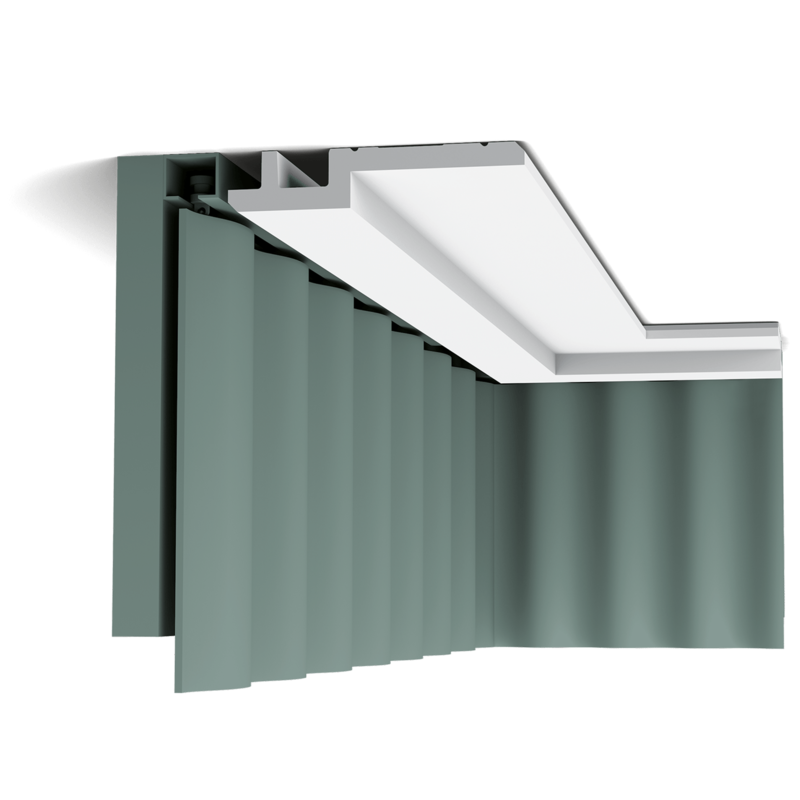 The angled corners above and below provide additional subtle shadow lines and is perfect as an original, modern practical solution for hiding a curtain pole/rail. 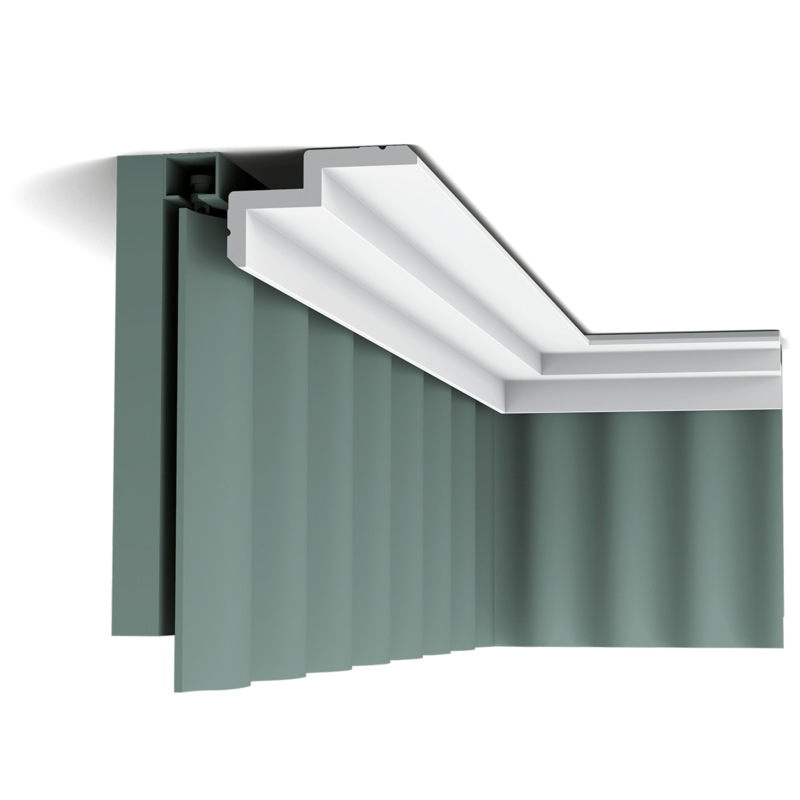 Using Correct Adhesives for the CP395 curtain profile – IMPORTANT!